The U.S. Southeast lumber company has hiked its annual dividend over the last four consecutive years and currently pays a 4.2% yield. In addition to the steady dividend growth and above-average yield, the trust’s share price rose more than 20% over the last year. Almost all of that share price growth occurred over the last 90 days. The company’s next ex-dividend date will be on November 29, 2017 and the pay date follows about two weeks later, on December 15, 2017. Founded in 2005 as the Wells Real Estate Investment Trust IV, Inc., the CatchMark Timber Trust, Inc. operates as a real estate investment trust (REIT) and focuses on the acquisition of timberland properties in the United States. As of October 2017, the REIT owned a total of more than 500,000 acres of timberland located in Alabama, Florida, Georgia, Louisiana, North Carolina, South Carolina, Tennessee and Texas. The company owns approximately 460,000 acres of timberland outright, about 10,000 acres through its 50% interest in the Dawsonville Bluffs, LLC joint venture and leases approximately 31,000 additional acres from third parties. The REIT changed its name in 2006 to its current CatchMark Timber Trust, Inc. and its current headquarters are in Norcross, Georgia. The company’s current quarterly dividend of $0.135 is equivalent to a $0.54 annualized payout and a 4.2% dividend yield. This current 4.2% yield is almost 250% higher than the 1.2% average yield of the Industrial Goods sector. 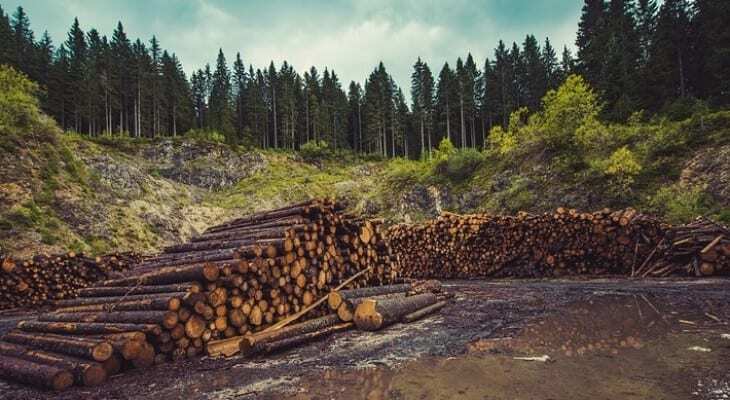 While the Industrial Goods sector might be too broad for a meaningful comparison, CatchMark’s yield also outperformed the 2.8% average yield of its peers in the Lumber and Wood Production Industry segment by 46%. The REIT started paying dividends in 2013 and has hiked the annual dividend amount every year since then. Over the past four consecutive years, the company enhanced its annual dividend amount at a 5.3% average annual growth rate. As a result, the total annual dividend amount is 23% higher than it was in 2013. The REITs share price started the trailing 12 months with a 2.1% drop to reach its 52-week low of $10.18 on January 30, 2017. After bottoming out at the end of January, the share price rose and reached $12.06 during trading on April 27, 2017. However, after the brief rise, the share price declined and fell to November 2016 levels by mid-August 2017 before reversing course and embarking on its current uptrend. Since August 18, 2017, the share price rose more than 18% and reached its new 52-week high of $13.04 on November 7, 2017. After reaching the new peak, the share price dropped few cents since over the next couple of days and closed on November 9, 2017 at $12.87, which is almost 18% higher than it was one year ago and more than 26% higher than the January low. The 16.7% share price advance since August 18, 2017 accounts for more than 90% of the share price appreciation over the past 12 months. The share price’s 50-day moving average (MA) was on a 60-day declining trend since mid-June and was in danger of crossing below the 200-day MA in a bullish manner before it reversed trend in mid-August. However, since the August 18, 2017 trough, the 50-day MA has been rising and is currently almost 10% above the 200-day MA, which is an indication that the share price growth could continue, at least in the short term. The combined effect of the above-average dividend income distribution and the significant asset appreciation offered the company’s shareholders attractive total returns. Over the last one 12 months, the REIT rewarded its shareholders with a total return of 22.6%.